Today's star is actor's actor George C. Scott. TCM is celebrating the career of George C. Scott with 11 movies on Aug. 29. Here's what you need to know about Scott, who was the first actor to turn down an Academy Award. FYI: TCM sometimes changes the air times and /or movies, so you can go to www.tcm.com to check the updated schedule. Born: Oct. 18, 1927, in Wise, Va.
Died: Sept. 22, 1999, in Westlake Village, Calif. He is buried in the Westwood Memorial Park in Los Angeles. Academy Awards: Scott was nominated for best supporting actor for Anatomy of a Murder (1959) and The Hustler (1961). Scott was nominated for Best Actor for The Hospital (1971). He won a Best Actor Oscar for Patton (1970) but turned it down because he didn't believe that actors should be in competition against each other. Brief bio: Scott grew up in Detroit as the son of a Buick executive. He dreamed of becoming a journalist, but he became interested in acting while attending the University of Missouri. Scott moved to New York City, and he earned wide acclaim in the New York Shakespeare Festival, especially for his dark turn as Richard III. Scott got the attention of Hollywood and he began appearing on television and then in the movies. 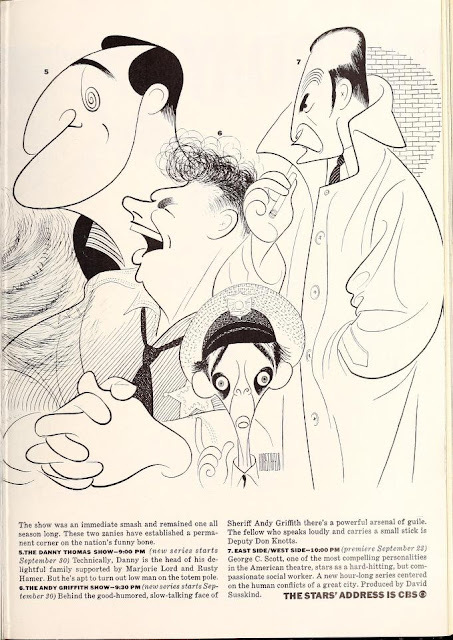 Scott became one of the most sought after character actors of the 1960's, thanks to critically acclaimed performances in films like Anatomy of a Murder, The Hustler, and Dr Strangelove (1964). Scott moved up to leading man in the 1970's thanks to his signature performance as U.S. General George S. Patton in the acclaimed biopic, and his turn as an alcoholic doctor in The Hospital. Scott continued working, especially in television, until his death from an aneurysm in 1999. 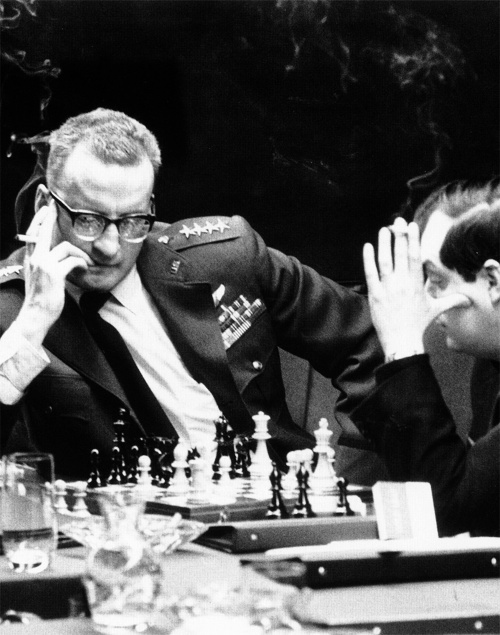 George C. Scott and Stanley Kubrick playing chess on the set of Dr. Strangelove (1964). Fun Fact: Scott was known for his intimidating manner and hot temper. When he appeared in a play with actress Maureen Stapleton, she confided in director Mike Nichols that she was afraid of the actor. 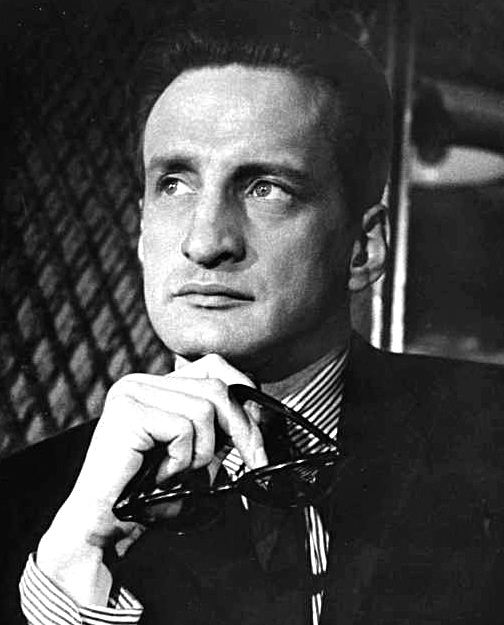 "My dear, everyone is scared of George C. Scott," Nichols replied. 1.Today is Ingrid Bergman's 100th birthday, so it's nice that TCM is featuring the only film she and Scott appeared in together. The Yellow Rolls-Royce (1964), airing at 9:45 a.m., is an ensemble comedy about three sets of owners of a classic car. Scott plays a gangster who buys the rolls for his moll (Shirley MacLaine). 2. Scott is riveting as a ruthless prosecutor who tries a murder case against James Stewart in Anatomy of a Murder, airing at noon. 3.TCM is featuring The Hustler, airing at 8 p.m., as part of its The Essentials collection. This film about a small-time pool shark (Paul Newman) who is manipulated by a seedy manager (Scott) is one of the best movies of the 1960's. A great movie not featured during Summer Under the Stars: Scott is hilarious in Dr. Strangelove as the gung-ho General Buck Turgidson, who desperately wants to get one over on the Russians even if it means a nuclear apocalypse. Fan Magazine Flashback: Caricatures of Danny Thomas, Andy Griffith, Don Knotts and Scott appear in a 1963 CBS television ad. Courtesy of the Media History Digital Library. For more Summer Under the Stars articles, go here. There'll be plenty more on Scott on social media. Follow me on Tumblr, Google+ or Pinterest or like us on Facebook. Follow us on Twitter @oldhollywood21.